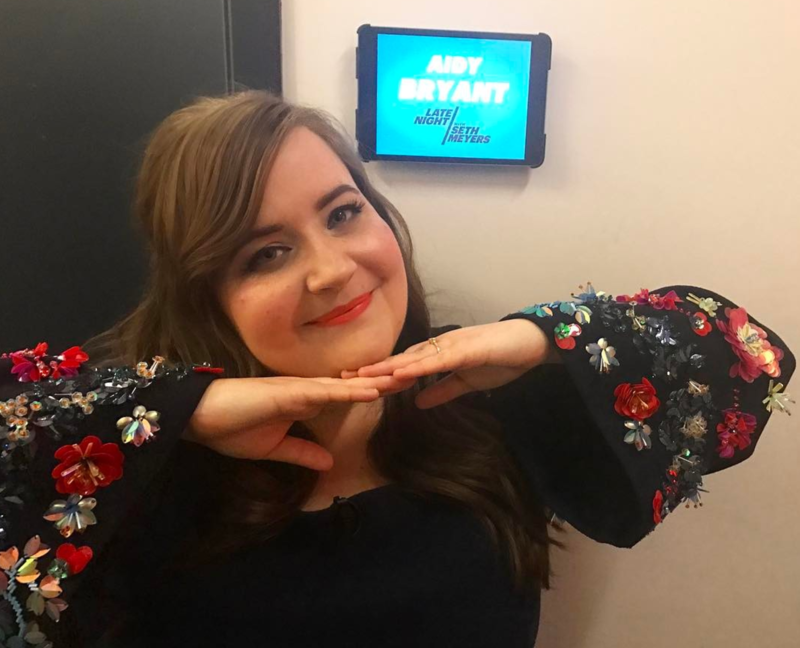 We can all agree that Saturday Night Live‘s Aidy Bryant is a spectacular specimen of human. (If we can’t agree, please let us know and we will kindly update you). She’s hilarious, her skits are necessarily subversive — remember the brilliance that was Dykes and Fats? — and she obviously has a great sense of style. In her latest Instagram post, you can see her wearing a gorgeously designed black dress by Tanya Taylor, complete with dreamy bell sleeves and floral embellishments wrapped beautifully around the hem. Bryant wore the dress for her appearance on Late Night with Seth Meyers. With her hair half up in loose waves, she looked super dazzling. Fun fact: She’s been dating Conner O’Malley, a writer for Late Night with Seth Meyers, for the past eight years (awww). Black dresses have always been seen as classy and, in many ways, practical — but this one has literally the perfect amount of bright color pop, which — I don’t know about you — we sort of need in these dark times. Actually, this isn’t the first time she’s worn a black dress adorned in flowers with bursts of color. That gorgeous dress was made by Eloquii, who wanted to make Bryant a custom dress for her Emmy’s appearance. Which is totally awesome of Eloquii, yes, but we can’t discount the fact that Bryant says she’s normally begging for designers to make something that actually fits her body. 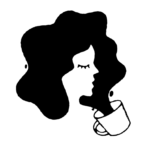 She’s long been outspoken about comfort and the need for stylish plus-size clothing, but we wish she could focus on talking about her, you know, career, rather than having to talk about clothing parity. Her down-to-earth, straight-up attitude (because hi, who wants to be super uncomfortable in a dress for an award show or TV interview?) is what makes her so likable, but her vulnerability is what makes her so real. Though her story turned out just fine (because she’s an amazing lady who deserves to celebrate), we can all relate to going a little too far with a few too many (looking at you, Tequila). Anyways, Aidy, can we borrow that dress?